This time of the year, which signals some of the wettest and soon to be coldest seasons in British weather, is where good windows come into their own. Gone are the days of rattling windows and no central heating, and having durable, high quality glazing on windows is not only an energy saver, but a security measure too. We’ve been using the latest technology relating to modern glazing for some time, which includes secure locking and leading-edge weather seals. Windows can still retain a traditional appearance, but can have state of the art glazing, which ensures a warm, secure and weather-tight function. 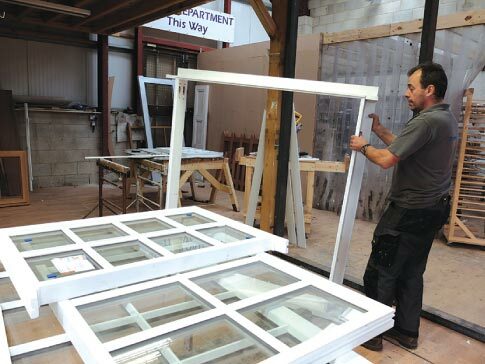 We work together with high quality glazing suppliers who value energy efficiency as paramount importance as we do. For the techno-geeks, windows can have ‘warm-edge’ spacer bars inserted, which uses argon gas between the panes to make them heat retentive. The existence of manmade glass can be traced back to 4000 BC, where it was used as glazingfor stone beads. The first glass container is believed to have been made around 1500 BC. Double-glazing technology has moved on since those iconic Ted Moult TV ads in the Eighties, when draught-proofing became a national obsession. Double glazing originated in Scotland in Victorian times, becoming popular in American homes in the Forties and Fifties, and later in the UK around the 1960s.